If you’ve been blogging, marketing, or even thinking about starting an online business in the past 3 years, you’ve probably heard about ClickFunnels. Everybody and their tech-savvy grandma are talking about it, using it, and even promoting it! This tool simplifies online marketing, selling, and delivery of their products and services by providing users with funnel options that are pre-built for a specific business, product, or service. ClickFunnels incorporates all these and more, offering them in a comprehensive, unified package so you won’t have to deal with them one by one. As long as you have a business, ClickFunnels has that special funnel that is just right for you. ClickFunnels is a popular sales funnel tool that simplifies the whole sales and marketing funnels for all types of businesses. There are various types of sales funnels and each one needs to be designed and organized in a way that attracts its intended client. There are funnels for webinars, sales, membership sites, and subscriber list and each one are quite different from the other. The good news is that ClickFunnels has you covered. With ClickFunnels, users are treated to a variety of pre-built sales funnels and all they have to do is choose the one that matches their business requirements. Selling a subscription and peddling an e-book may be similar in terms of them trying to make a sales, but they need to be handled differently. ClickFunnels saves you the time and effort to start organizing your sales funnels from scratch and speeds up your sales funnel setup. Once you have selected your funnel, you need to have a template. With ClickFunnels, you are treated to a variety of templates and all of them are tested and proven to work. With a throng of proven and tested templates at your disposal, ClickFunnels accelerates your A/B testing phase because you don’t have to weed out templates that are not performing. With a user-friendly interface, you can easily integrate animation, clocks, videos, and other elements to your templates and then perform your A/B testing on them to see what works and what doesn’t. There is no learning curve to deal with at all. ClickFunnels offers monthly contracts that you can cancel at any time. Yearly discounted options are available too. ClickFunnels currently offers a 14 day trial for all new customers. If you use my link to try ClickFunnels you’ll receive these bonuses from me. ClickFunnels provides a yearly plan of choice. 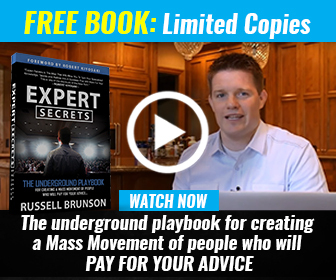 This annual plan provides you with 2 free months of ClickFunnels access. ClickFunnels has been so successful in their recent launch that they are receiving VC offers. ClickFunnels pricing offers the annual option only through direct upsells. At some point, I’d like to analyze their check out processes in a more forensic detail to see if I can pick up on any subtle funnel magic at play. ClickFunnels limits your access to certain types of pages and funnels based on your account. ClickFunnels uses flat icons and seems to have more robust statistical data. The ClickFunnels pricing for this program is $97 per month. You will have the ability to create twenty funnels, over one hundred pages and up to 20,000 visitors per month. The ClickFunnels pricing for this program is $297 per month. You will receive Actionetics and Backpack affiliate system. If you think you might want to use ClickFunnels as your “all in one” tool including List Building, this may be for you. In addition, you can utilize ClickFunnels pricing as an affiliate. This is the plan I’m currently using, since I currently don’t have use for Backpack, the affiliate software ClickFunnels offers. When I do, I’ll be paying $297/month, but until then you can ask ClickFunnels Support (which is top-notch) to pay $197/month to use ClickFunnels (the funnel builder) and Actionetics (the Email Marketing software). How To Start Begging ClickFunnels To Take Your Money? I realize that when you make a decision to buy a sales software it’s important not only to see how experts evaluate it in their reviews, but also to find out if the real people and companies that buy it are actually satisfied with the product. The fastest way to start making money online is to PAY something in exchange for something valuable. Like paying ClickFunnels for it’s awesome software. After all, that’s what WE (you and I) want someone to do with our businesses. We want them to pay us in exchange for something of value. Remember, people who pay, pay attention, which is why I have NO problem shelling out $197 every month to ClickFunnels. You can start with a 14-Day FREE Trial then just $97/month after that, plus you get $997 in bonuses from ME. Click HERE to see the bonuses. After you start your trial, just shoot me an email at nick@bloggingwithfunnels.com and I’ll send you links to all of your bonuses. I can’t wait to see you succeed inside of ClickFunnels!